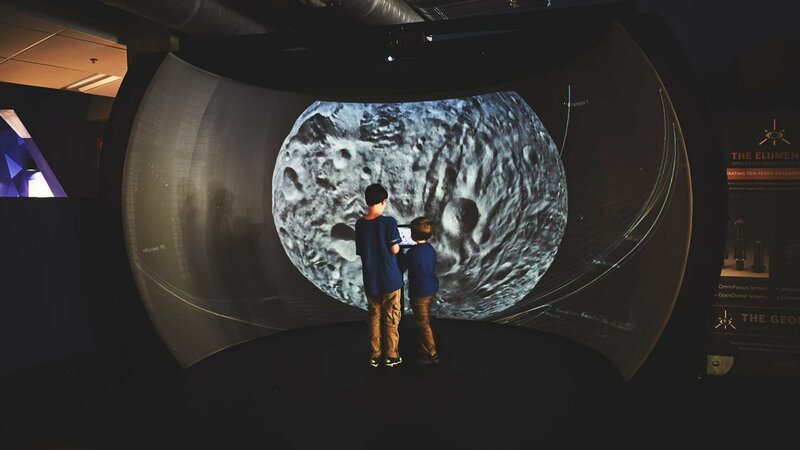 The Asheville Museum of Science opened its new location on November 11th, 2016, with a GeoDome Panorama. 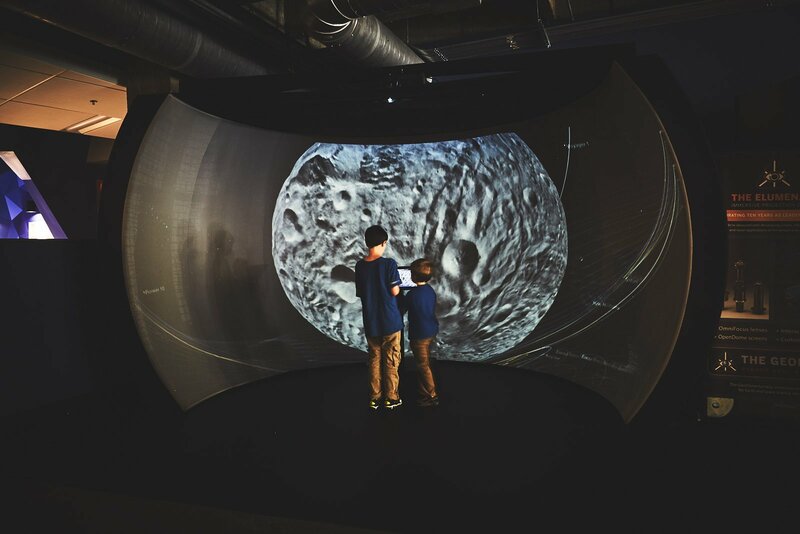 Audiences use a touchscreen to explore the Earth, solar system, and beyond, with NASA JPL’s Eyes platforms. The museum is also using WorldViewer to create their own interactive programming on bioregional topics. AMOS’ mission is to foster appreciation for the earth and its resources through exhibits, educational programming, and the care of its collection. The museum serves as a regional science center, connecting all ages to Science, Technology, Engineering, & Math (STEM) and the unique Western North Carolina landscape. 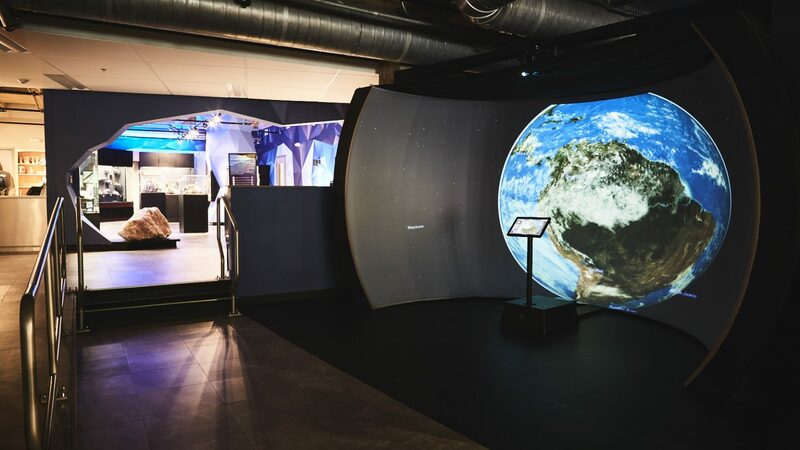 The GeoDome provides a unique focal point for visitor upon entering the museum, with mission-based content that is educational and exploratory. 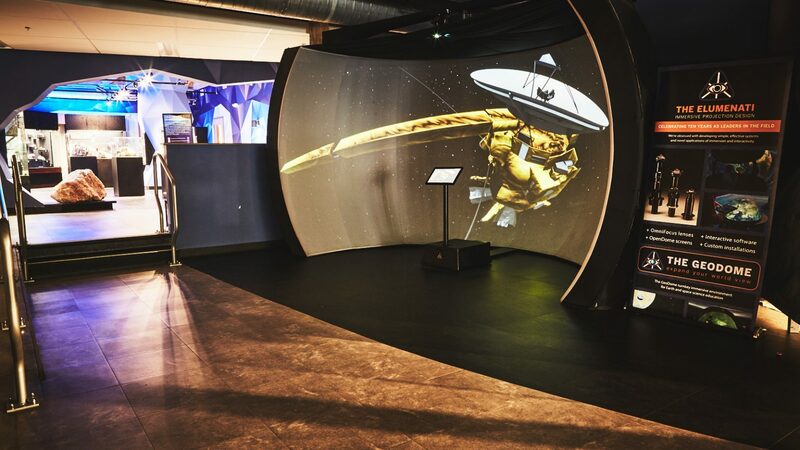 Original content orients the visitor to the local region and to the museum’s selection of exhibits, with visual and audio experiences that demonstrate everything from geologic formation to water quality. 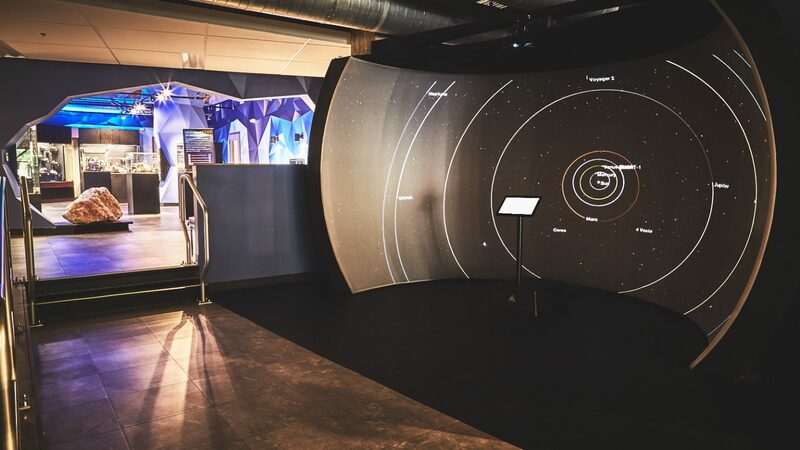 NASA’s Eyes on the Solar System, Exoplanets, and Earth allow visitors to explore well beyond the local region. In presentations created with WorldViewer, NOAA’s Science on a Sphere library provides visitors with content on Earth’s atmosphere, land, food systems, ocean, and linked processes.